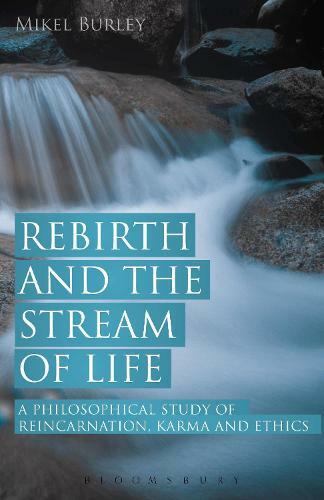 Rebirth and the Stream of Life explores the diversity as well as the ethical and religious significance of rebirth beliefs, focusing especially on Hindu and Buddhist traditions but also discussing indigenous religions and ancient Greek thought. Utilizing resources from religious studies, anthropology and theology, an expanded conception of philosophy of religion is exemplified, which takes seriously lived experience rather than treating religious beliefs in isolation from their place in believers' lives. Drawing upon his expertise in interdisciplinary working and Wittgenstein-influenced approaches, Mikel Burley examines several interrelated phenomena, including purported past-life memories, the relationship between metaphysics and ethics, efforts to `demythologize' rebirth, and moral critiques of the doctrine of karma. This range of topics, with rebirth as a unifying theme, makes the book of value to anyone interested in philosophy, the study of religions, and what it means to believe that we undergo multiple lives.